Does your account software comprehend needs of your rising busines? Almost after 2.5 years Microsoft has published office 2013. Everyone is eagerly waiting to know that what are new tools included to make our job even more easy, efficient with best quality of output. Recently Microsoft has presented office 2013 (Office 365) on their website. Office 2013 works on windows 7 or 8 platform. Free 90 days trial is available for small business (Maximum 50 user) and 30 days free trial available for midsize business and enterprise (Maximum 50,000+ user account). Please click here download office 2013. If you want to achieve full benefit of office 2013 (Office 365) then your system should meet minimum system requirement. (Read full requirement list below). Office 2013 offer several exclusive tools including Antivirus and anti-spam filtering, Live 24 / 7 customer phone support for midsize business and enterprise and many more. But we will talk few main elements, which most of peoples eagerly want to know. Microsoft office 2013 offers email service that fits your requests. Huge 25GB space allocated per user, which can reduce storage space of your gadgets. Recover contacts from almost anywhere on your PC, Laptop, Tablet or even your smart phone. Office 2013 gives freedom of tailor inbox rules and other notifications. Office 365 also gives flexibility of sharing your calendar with work buddy. Microsoft takes care of security therefore they blocks spam and manage the servers in the cloud and your email is free from advertising. Microsoft takes good care to develop such a feature, which can allow us to communicate and share work portfolio instantly with our work mate therefore they have include instant messaging service and conferencing tools in office 2013. 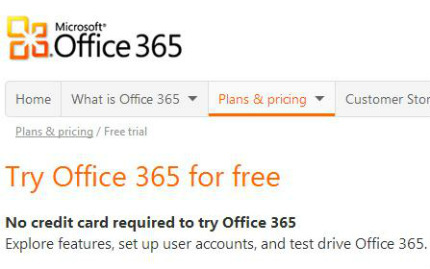 Office 2013 also offers you free pc to pc audio and video call to other Lync users. It can reduce huge expenditure your valuable time and money by sharing documents and collaborate with colleagues using the cloud makes the writing, editing, and final approval of our paperwork easier and much safer too. Share your view with other user about office 365 by commenting on this page.